If you have pictures of your projects, we'd love to see them! Or if you're a customer who has a related business, tell us so we can link to you here. Click here to let us know ! When I stumbled upon your business I was thrilled. 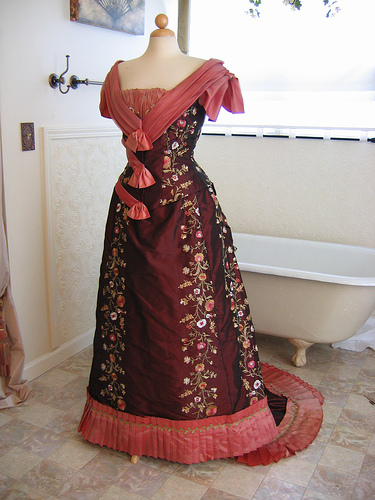 Swedish textile stores has a very limited range of silks, and as a seamstress specialized in historical undergarments, I was dead tired of having to go silk-hunting for several days every time I was approached by a customer wanting a fancy corset or petticoat. Since I found you, I don't have that problem anymore. 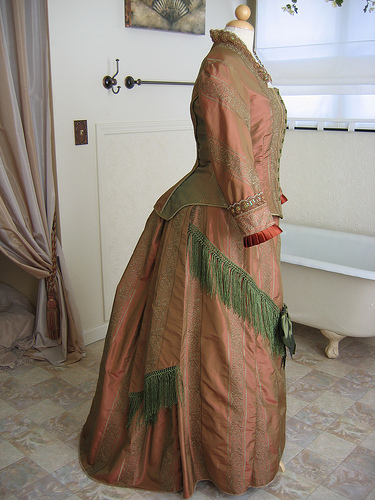 Whenever a bride-to-be, or a re-enactor, or an historical fetishist approaches me for a pair of stays, I happily point them to your site and tells them to sit back and take their pick. 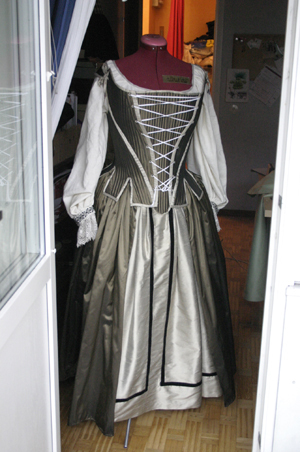 Last year, I got a commission from an artist who wanted a 17th century dress for the opening of an exhibition. Since she left all the details to me, I was a very happy camper. 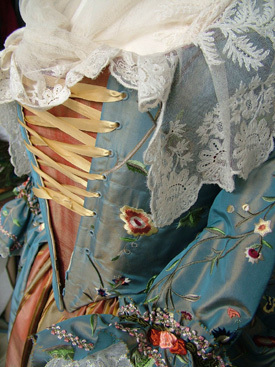 How often is a seamstress allowed the luxury of being given a time-frame a century wide, and totally free hands? Here is the result, and I am sure you recognize both yourolive taffetaand yoursilk dupioni in seamist. Sitting here in Scotland looking through your wonderful web-site. I am a part-time lecturer at a college in Glasgow, I also run a small business making corsets, wedding dresses, designer wear, as part of what I teach is pattern cutting. 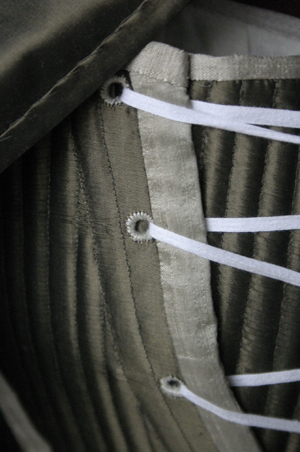 The corsets have been worn to many fashion shows when raising money for charity. Should anyone want one they can commission one. 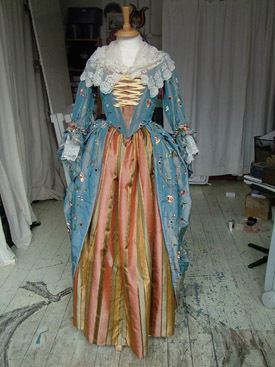 I generally do bespoke garments of any kind and nothing is too difficult! 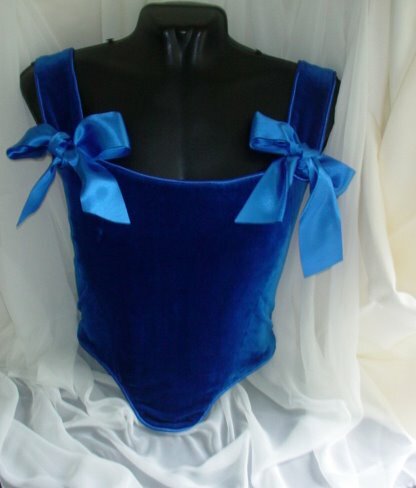 I normally get my silks from the UK, but after looking at your site, I will have to rethink. 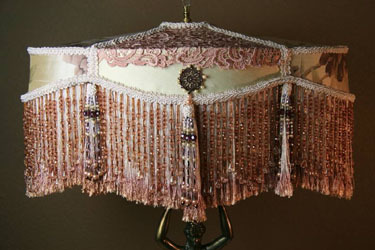 Just thought you might like to see what your beautifull fabrics were turned into! Hope you like it! I am looking forward to ordering from you again soon! You can see what I've done with your fabricon my website. People are really loving it. H ere is a costume demi-wardrobe made from the same"Ladybird Cabernet" fabric as the gentleman's 18th century coat shown on your customer's page . 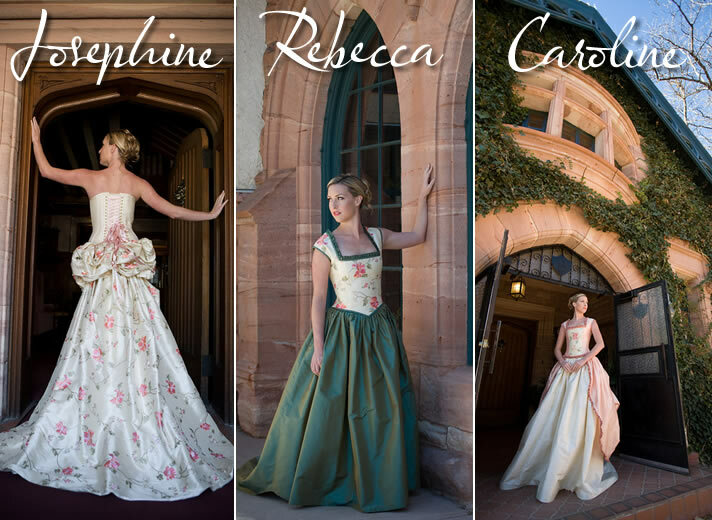 There is a day bodice, evening bodice, skirt, overskirt & bottom off train. This will be for a historic theme wedding in French New Caledonia . 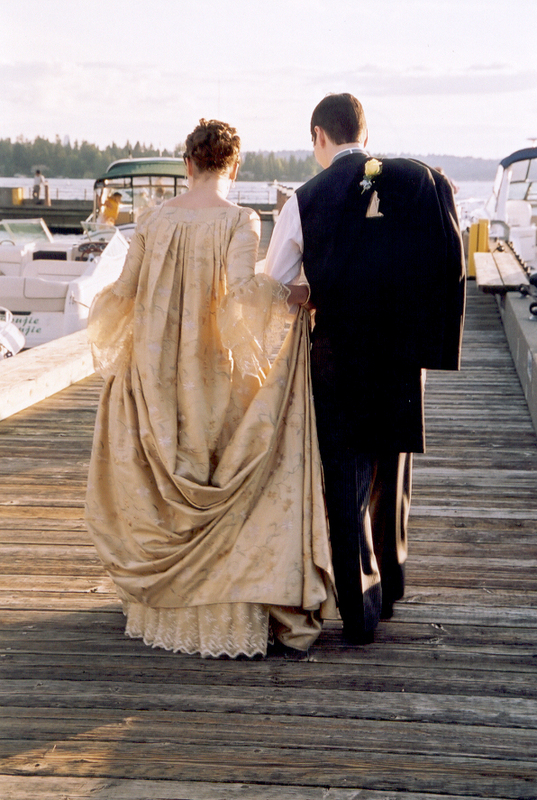 The fabric was purchased by the bride-to-be, then given to me to create with. 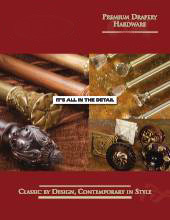 What a joy to work with quality goods! Also another inLa Dolce Vita Terra Cotta, going to the Dicken's Fair in San Francisco. I am currently being tormented by your"Age of Innocence"silk, in the Ocean colorway, paired with the solid Ocean & Irish Whiskey taffetas, for a gown for myself! Edith Wharton is my inspiration, "Age" my most loved of her writings. Have a wonderful holiday season amongst the beauty of of your shop. 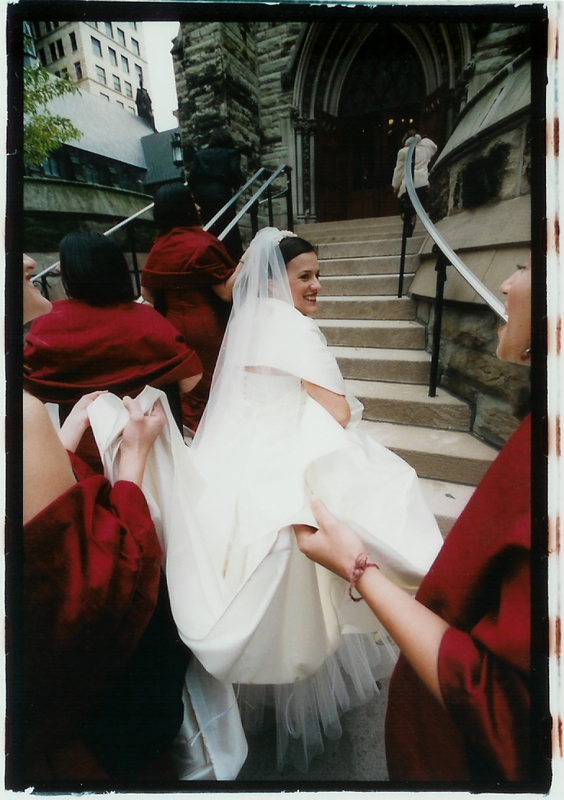 Attached are a few photos from my wedding. Love the sea of red photo heading into the church, it shows how dramatic the reds were..... You all have been awesome to deal with and being an artist myself, I love the artist spotlights on your site :) I just ordered some of the sky blue dupioni silk for my study drapes against a slate wall, I think it will be gorgeous! Thanks for feeding my creativity! 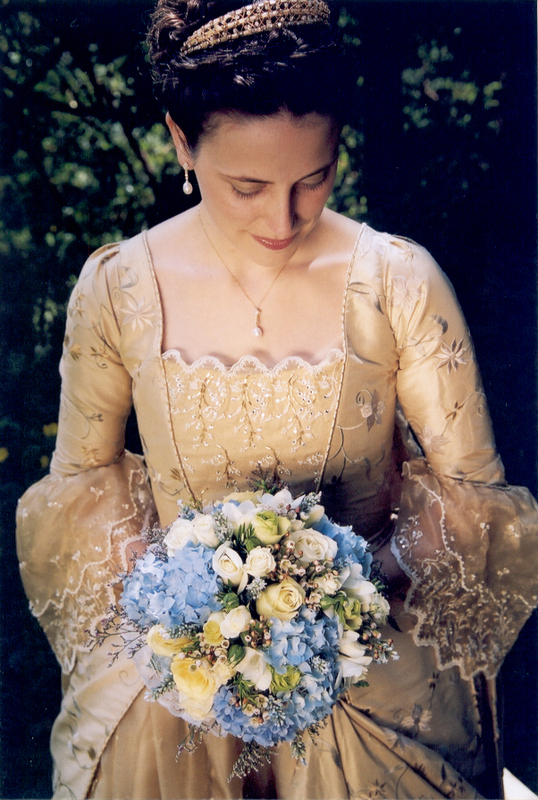 Here are a couple of pictures of my wedding dress, made mostly with your plain and embroidered silk dupioni by my friend, Janet Gardner. 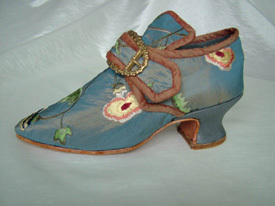 It's made more or less authentically from a pattern from around 1770. We loved the fabric, and the dress turned out gorgeous! Thanks for all your help! 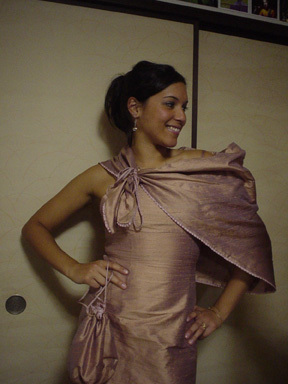 Thank you so much for the Dupioni Silk in Golden Salmon Shot... It made a perfect wedding dress. I got to wear it three times, once to our Luau Reception in Hawai'i, another time to our wedding party here in Hiroshima and again for a wedding reception that my parents threw for us in Ottawa, Canada. It was absolutely amazing. 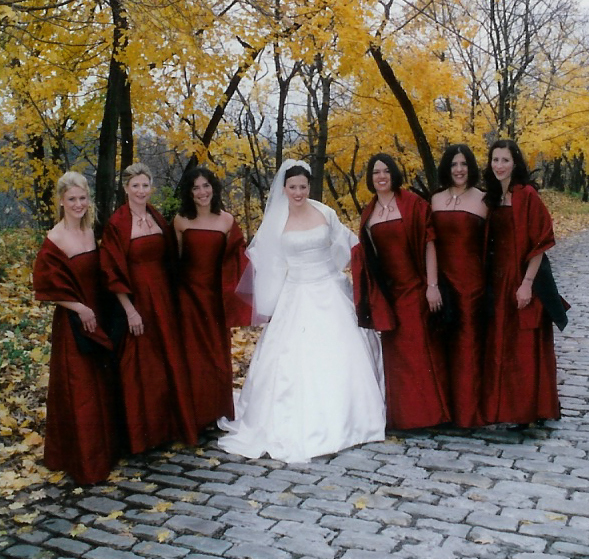 So much so in fact that my friend is ordering Dupioni Silk in ivory forherwedding dress! She know that she'll get quality fabric when she orders with HYENA! Keep up all the hard work with the website. I enjoy checking it out every now and then and have a picture ofmyfabric as a background on my computer. Looking forward to ordering again. I just received my shipment of 12 yards of "True Wine" silk dupioni from Hyena. I almost started weeping as I pulled the fabric from its perfectly wrapped and protected packaging. 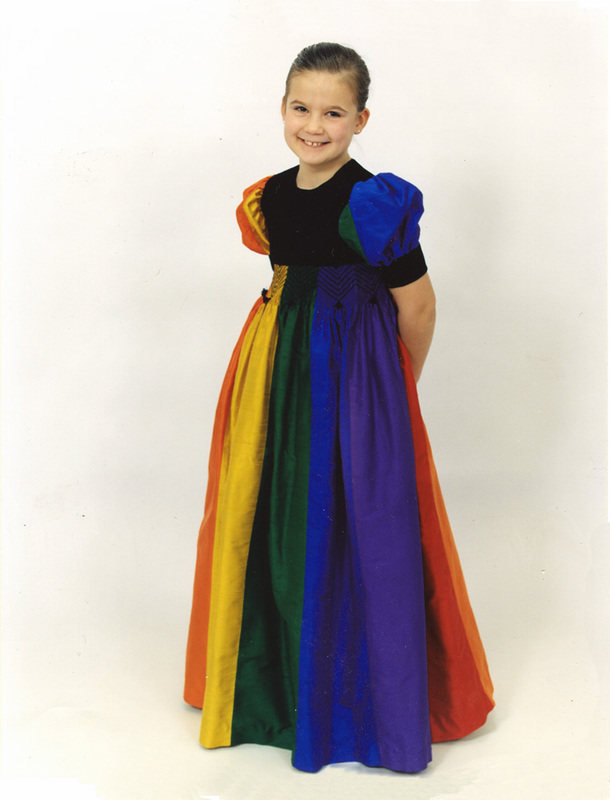 I'm just a lowly computer programmer dreaming of a medieval wedding dress. What have I done to deserve such luxury? This fabric truly defies description. My local fabric store carries 6 colors of dupioni 45" wide for almost $3.00 more a yard than I got my 54" from Hyena. What a steal! And the difficulty I had in deciding amongst four shades of red is a testament to the amazing color selection I found at your website. I had to consult my sisters, mother, and fiancé for input. Ultimately, mom's choice was best. Thank you for making this one special part of my wedding a success. I hope my sewing skills are worthy of the quality of fabric! I absolutely adore your silk collection! I've ordered many beautiful fabrics from you and I thought you might like to see what I've done with some of them! 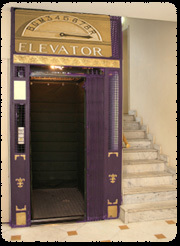 Additionally, your service is spectacular! Everything always arrives promptly and is so well packaged. It is just like going into an Art Gallery looking at your silks - I just want to die in a vat of beautiful things...is that too much to ask? 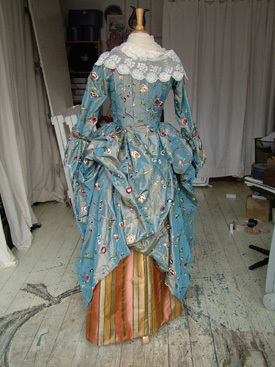 For a year ago I bought this wonderful fabric, and now it have been a 18th century costume for my husband. I've got several compliments for it. This picture is taken at Beatelund Castle, 6 miles from Stockholm this autumn. Hello, hyena -- Applause, applause - You have the most fabulous website I've ever discovered. It's fab!! Huzzah!! Huzzah!! Hi there! 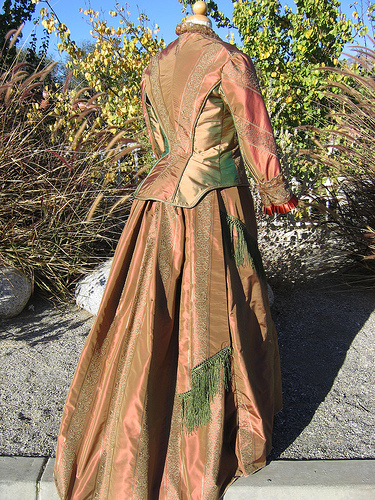 I wanted to send you a picture of the Irish Solo Dress I created using your blue/pink-shot dupioni silk. I will definitely be ordering through Hyena again. I appreciated the fact that you sent me high quality product for a great price and that you had it shipped ever-so-quickly! Anyway, thank you so much! I will "never settle" for getting my silk anywhere else, of that I'm sure! I so appreciate your help with this project, and I'll be sure to pass on to my friends that you're WONDERFUL to order from!! Just thought you might be interested in our project. The silk is not for clothing, although it would be beautiful. It is part of a reproduction flag, that was used during the American Revolution, flown at Ft. Stanwix, New York, in the fall of 1777. 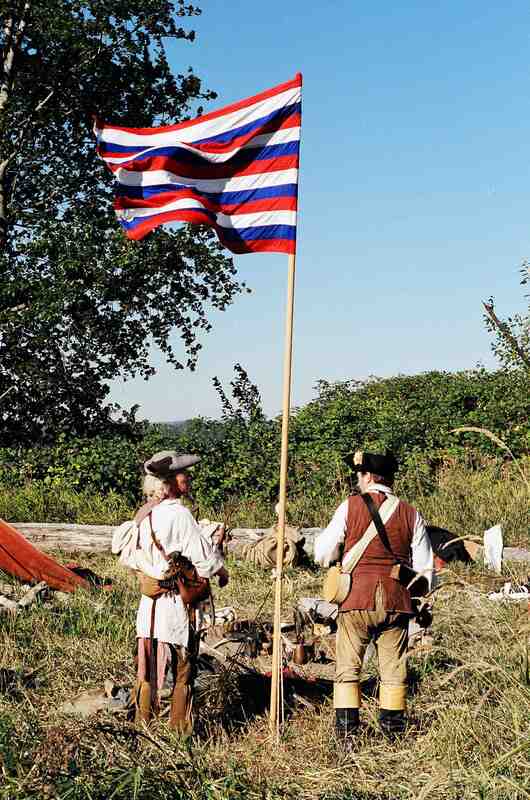 American forces (about 800 men) flew this flag while defending the fort against a force of 3000 British and Indians. The British retreated back to Canada, failing in their attempt. This reproduction will fly during an Revolutionary War reenacting event. Thanks again for your quick response. Thank you soooooo much - you solved my wedding dress dilemma!!!! Hi - I just wanted to say that we received our order of 15 yards of silk and are very pleased with the quality and the speed in which it was shipped. The fabric will be used for the brides maid dresses for my daughter's wedding this fall. Dealing with your company has been a real pleasure. I just finished making the dress out of the fabrics we ordered from you and I had to take a few minutes to tell you that the dupioni was absolutely, by far, the most beautiful dupioni I have EVER worked with. Previously I had been hesitant to order from your company because the prices are a bit higher than my other dupioni suppliers - but WOW - the higher price was WORTH it. The difference in quality between your silk and the other silks I've been working with was unbelievable - it was a DREAM to work with and I can assure you I will be back again. I'm also going to tell everyone how much better quality your fabrics are - and you're really great to work with too. Thanks again! Fabric received today! WOW --- that was fast! You have a wonderful selection, and finding your site was prompted by my niece's need for a prom dress, but I'll be back. Your website is phenomenal and so are your prices!! 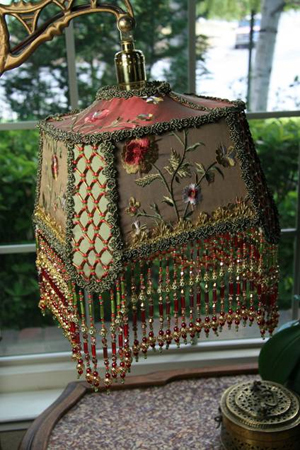 I had to show you a picture of another lampshade I made with your beautiful silks. 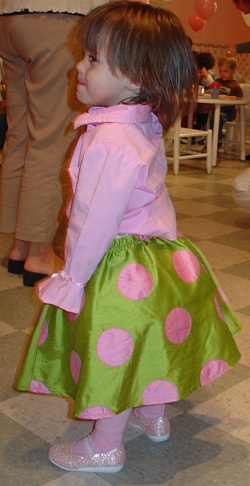 I usedLadybird Terra Cottaembroidered silk taffeta and hand-beaded panels over the Olive silk dupioni. Thank you for making such beautiful silk fabric available and affordable. Thank you so much for my order which I received safe and sound and delicately wrapped in tissue paper. The fabric is absolutely beautiful, I am going to start sewing tonight!! Thank you for your excellent service and your amazing prices. Thanks again. 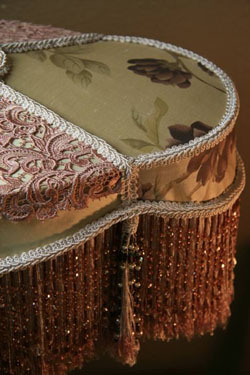 I like to make "projects" with my Hyena silk, silk velvet, and all the other beautiful fabrics that they have. I do design sets for Machine Embroidery. My designs look wonderful on these fabrics. 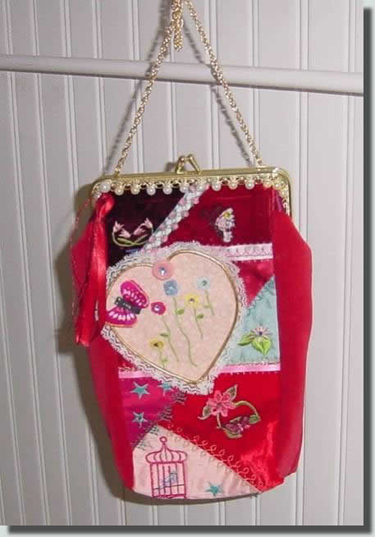 The latest I did were purses and I used my new Robin Crazy Quilt design set on them. The silks are so easy to work with and the feel of them is wonderful. After I used these fabrics I was spoiled. I just can't go back to synthetic fabrics. I sell my designs athttp://bfccreations.com. If you are looking for Machine Embroidery, we have some beautiful designs. 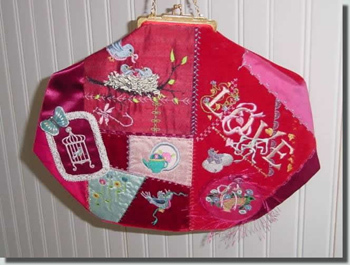 Here are a couple of photos of my latest Robin Crazy Quilt design set used on purses made from Hyena silks. "I would like to say thanks to everyone who sent me dupioni websites...found some incredible stuff but I think my favorite incredible one ishttp://www.hyenaproductions.comThey even sell quilt kits...gorgeous stuff....I think I hear my need saying get out the plastic..."
Last year I bought silk from you to start my new business -- "Silver in Silk". 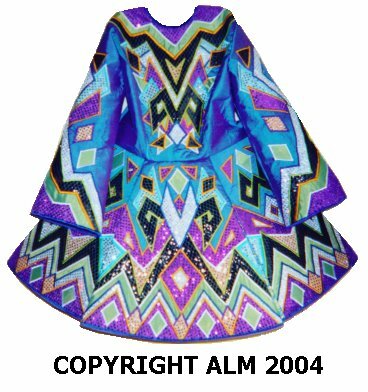 I make bags for silver storage out of anti-tarnish cloth (Pacific cloth) for the inside and your flawless, gorgeous silk for the outside. I found your website and now I wouldn't think of getting my silk from anywhere else! My goal to redecorate Versailles in 100% Hyena failed due to my sloth (not to mix animal metaphors), a number of apoplectic, very negative Frenchmen, and some sort of misunderstanding in regard to my VISA account's limits. However, never one to takenonfor an answer, I plan to sabotage Paris with my version of Madame du Pompadour or Marie Antoinette--your choice. 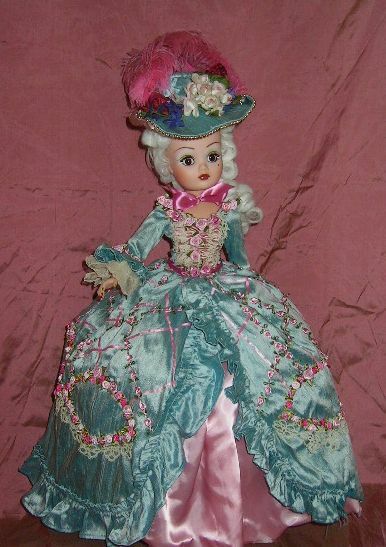 The garb of this 21" Madame Alexander Cissy doll is a work in progress, still partly pinned together. It is difficult to find a time one of the cats isn't draped across the sewing machine table, but I did manage to sew by hand in excess of 300 silk and satin roses. You may recognize your sublime silks in this project. If you don't, blame not the silk--it is (pardon, Marie) my execution. You have been such a real pleasure. I will mark your site and watch carefully for more lovely fabrics. Perhaps some other lovely stripe is in our future. Thank you again for your time and invaluable assistance. I do hope we have the opportunity to do this again. As always, my continuing best wishes to you and yours. The delight is all mine!!! My fabric arrived today and it is wonderful. Your service and product is lovely. Thank you. It's been a pleasure doing business with you. I'll remember you in the future and recommend you to friends. Hope you thrive! I did a search and came up with your website, and couldn't be more pleased and to find out you took PayPal was even better. 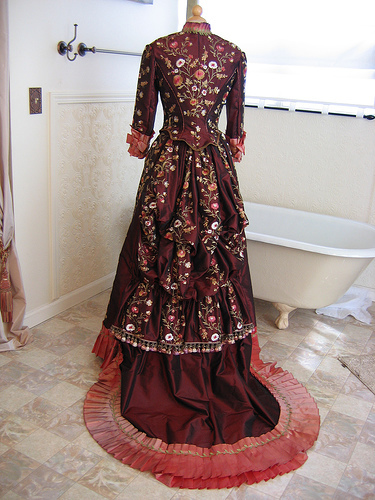 I have been looking for this color to complete a dress for an antique doll of mine. Thank you. Lovely fabric! YOU have got excellent A-1 quality silks, just to let you know (as if you didn't)! Most iridescent, highest quality, truest colors! Thanks! Thank you for your help that went "way beyond". I've never had such excellent help by phone. You have been one of those surprise gifts from God to make my day filled with extra smiles. Just wanted someone there to know that I clicked on your Artists of the Month (as usual) and for the first time took the time to write and say THANK YOU!! The article about Jere & Hazel brought a few tears to my eyes. I'm not certain whose parents they are, but their offspring is certainly blessed. The article is very well written and I especially enjoyed the last paragraph, as I have spent years searching for a way to express myself to the world. Thank you for reminding me that the best expression of myself is...me. Have a WONDERFUL LIFE!! Thanks for such a FAST reply! I had a feeling that was the case - your site was mentioned on Quilt Art and it is wonderful - have bookmarked for future projects ! You are a wonderful supplier. You will be seeing much more business from me. COOL, huh? 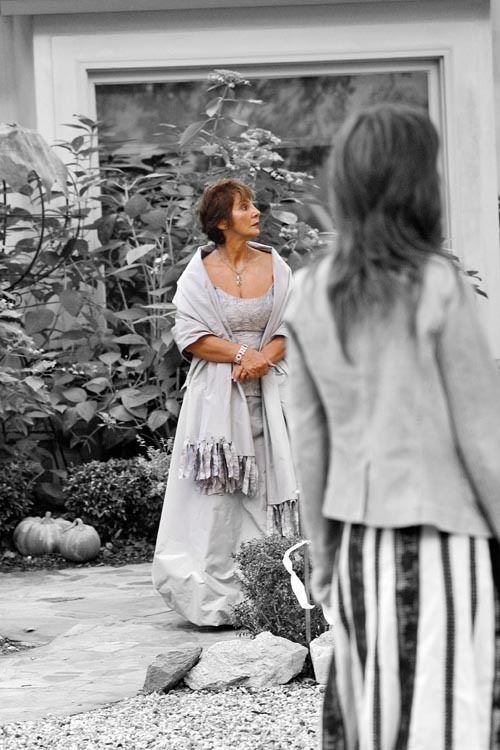 Thank you for everything you did to make the wedding such a success. You're definitely the best site I've found for quality silks.